Alex Brunelle was the only one wearing a suit at the downtown Scranton Enterprise Center, where he runs a real estate operation and management firm. His slightly oversized black jacket made him look more like an IT geek than a successful businessman who owns 24 properties in the city of Scranton. Brunelle claims to have been targeted by the local government, which has issued 73 citations and four condemnations to 11 of his properties over the last four years. When he applied for a permit to initiate repairs to lift the one of the condemnations, the city denied the permit. Angered by the city, Brunelle filed a lawsuit against the city in Pennsylvania Middle District Court in May 2015. “I will vote for Trump,” Brunelle said. His decision is a hope for change in government — both at a national level and a local level. “At this point, any disruption is good, even if it’s chaos,” he said. His choice came after a series of local government action against him that began in October 2011. According to the complaint he filed in 2015, Brunelle said a housing inspector of Scranton’s Department of Licensing, Inspections and Permits, condemned his 613 Madison Ave property in October 2011 while she was allegedly under the influence of alcohol. Brunelle immediately filed a civil action in the Lackawanna County Court, which dismissed the condemnation in Brunelle’s favor. But the story did not end there. 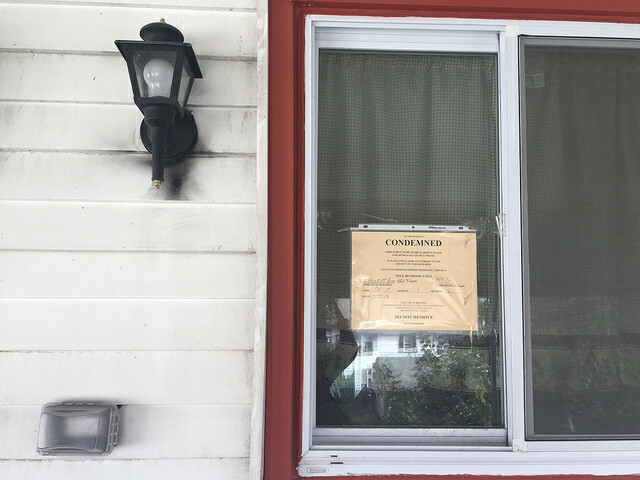 A month after the condemnation order was lifted, the same inspector issued 36 citations against Brunelle’s second property located at 718 Pittston Avenue, although all of the citations were dismissed in 2012 by the Magisterial District Court. In May 2013, the same inspector came back and issued a Stop Work Order for alleged lack of an electric permit, even though the permit had been issued a month prior. One year later in September 2014, the inspector condemned the third floor of this building at Pittston Avenue. However, when Brunelle applied for a permit necessary to initiate the required repairs and, ultimately, to lift the condemnation, the city denied the permit. The city, he said, explained that the permit was denied because the building had been condemned. That was one of his 24 properties in Scranton. In a four year period between 2011 and 2015, the city issued 73 citations and condemned four of Brunelle’s properties. The Magisterial District Court dismissed 68 citations and two condemnation. Five of the citations and one of the condemnations were waiting for appeal results. Brunelle said the city targeted him. Patrick Hinton, director of the Department of Licensing, Inspections and Permits, disagreed. “There’s no way he’s targeted,” Hinton said in an interview on Friday, and declined to comment further because of the ongoing litigation by Brunelle. When Hinton secured his job as the director of the department in January 2014, he made attacking blight and clamping down on the absentee property owners a priority, according to The Times-Tribune, a local Scranton newspaper. Wayne Evans, city councilman and a realtor, said he felt that some of the condemnations were not justified. “At first, neighbors wanted to them to be aggressive because an abandoned property bring down the property values of the entire block. But they might have gotten too aggressive,” Evans said in an interview. “If I could go back and do it again, I would go to some place like New York City,” Brunelle said. Zvi Shkedi and his family, former Scranton residents, also filed a lawsuit at the same court over building condemnations. It started when the city condemned Shkedi’s property at 510 Pittston Avenue in August 2013. The Shkedis claimed the family was targeted because they were Hasidic Jews. When Shkedis hired a contractor to paint the property’s interior in an attempt to bring the property up to code, the City issued a Stop-Work Order to the contractor. Shkedis filed a Notice of Appeal to the City’s Housing Appeals Board, which removed the condemnation in November 2013. 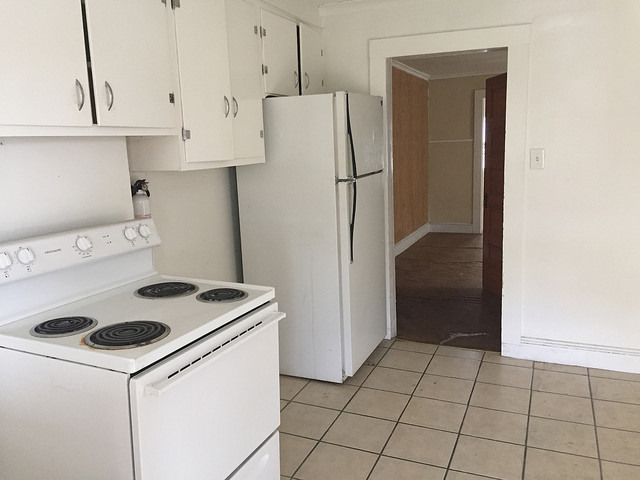 The day after the Shkedis successfully appealed the condemnation, the city condemned Shkedis’ second property, located at 417 Harrison Avenue, according to the complaint. In April 2015, the court ruled against the City’s attempt to have the Shkedis’ complaint dismissed. In the meantime, The Shkedis had moved out from Scranton to west Pennsylvania, according to the Shkedis’ lawyer Donald Brobst. Brunelle owns too many properties in Scranton to move out. But his disappointment in the local government was reflected in his presidential candidate preference. “I support the candidate that would promote a smaller government that does less,” he said.